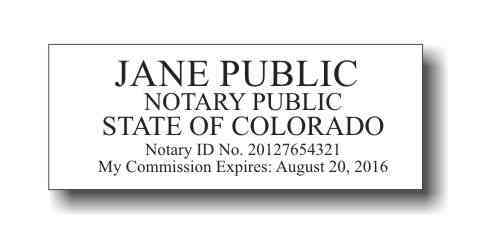 SELF-INKING Notary Public stamp for Colorado notaries meets all requirements that were introduced in 2012. PLEASE NOTE: THIS RUBBER STAMP IS DESIGNED AND APPROVED FOR NOTARY PUBLICS IN THE STATE OF COLORADO. THE STATE YOU LIVE IN. While not a State requirement, we ask that you please send a COPY of your Notary "Commission Certificate"
OR "Letter of Appointment" within 30 days of ordering your Notary Seal Embossers or Rubber Stamps. 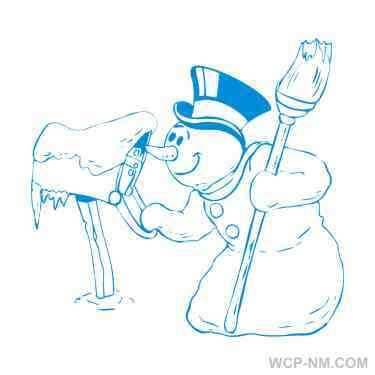 WCP-NM.COM. WE WILL CONTINUE TO SUPPORT THOSE DESIGNS AND THEIR REPLACEMENT INK PADS FOR YOUR CONVENIENCE. Per Colorado law, any ink color may be used for your notary stamp. This product was added to our catalog on Thursday 19 November, 2015.